This recipe has been a long time coming on this website. In fact, I perfected it nearly a year ago when I got a hankering for chewy, soft, Paleo crepes (that is, without grain flour). 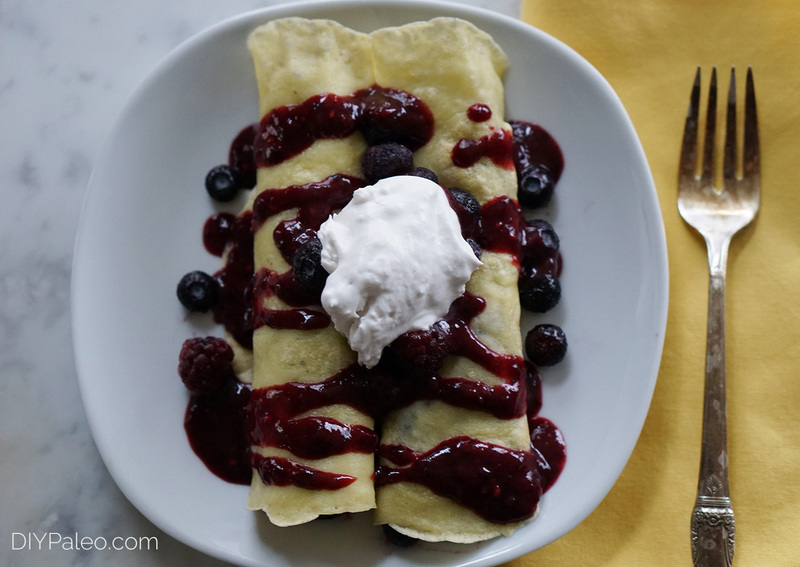 These crepes are super easy to make and store wonderfully in the fridge for several days. Sometimes I make a big batch of them and stash them in the freezer for later. You can also use these as lasagna noodles, tortillas, or anything else that requires a thin wrap or wide noodles. Several of my personal chef clients have tried these with sweet and savory variations–and everyone has loved them. One of my favorite ways to enjoy them is filling them with sausage and mushrooms, and then drizzling my homemade hollandaise sauce over the top. You can also try them for dessert with fresh fruit and coconut whipped cream. I find that bready Paleo products usually turn out better with a combination of flours. This recipe uses a combo of tapioca, arrowroot and coconut flours to achieve a balance between chewy and soft textures without thinning out too much and remaining sturdy enough for fillings. I’ve created other recipes using this technique, such as Carob Cupcakes with Salted Carmel Frosting, with success. There’s nothing worse than a spongy Paleo “muffin” that’s mostly just dry coconut flour and a ton of eggs! A word to the wise: do NOT make these with coconut oil instead of butter or palm shortening. For some unknown reason, coconut oil makes them stick like glue to the pan. This also happens with my pancake recipe. Perhaps it’s some kind of reaction with the different flours…? Who knows. Anyway, stick to butter, ghee or palm shortening. 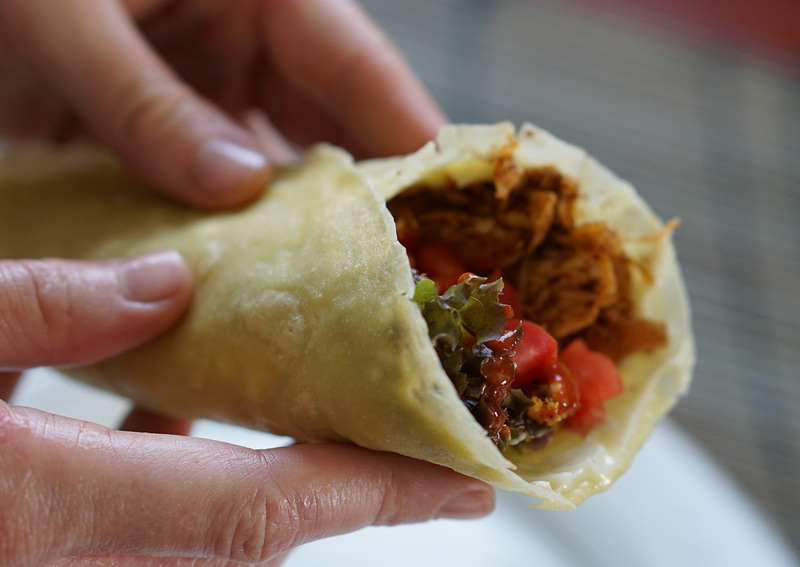 Try these amazing Paleo crepes and experiment with different fillings. I’m positive you will adore them. Mix coconut flour, arrowroot flour and tapioca flour together in a bowl. Add water and melted butter or palm shortening to the bowl with the eggs. Heat a small frying pan over medium heat. Add a little butter to thinly coat the pan. Use a ¼ cup measure to spoon the mixture into the pan. Tilt the pan from side to side to distribute the mixture and form a thin crepe. Cook 30 seconds, then carefully lift one side of the crepe with a spatula. Flip the crepe and cook another 30 seconds on the second side. Remove crepe from heat and place on a plate, then repeat Steps 5-8 for the rest of the batter.